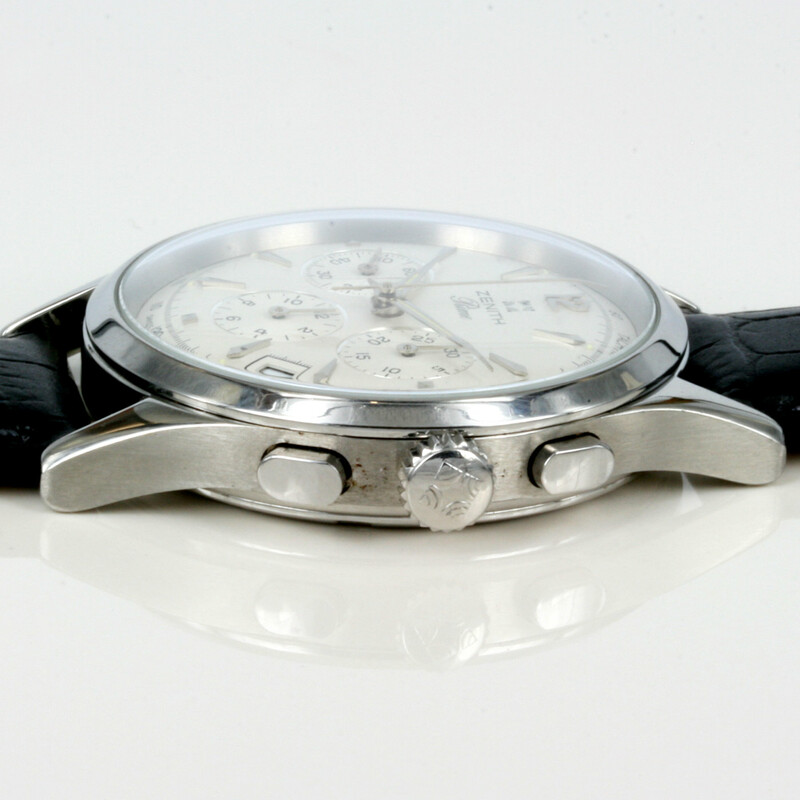 Product code: 1273 Categories: Sold Items, Sold Watches. Here is a great looking watch by Zenith that will always get attention and be admired. The Zenith Prime watch with exhibition window. With the white dial, the chronograph dials look so smart and stylish, and with the date window at the 4 o’clock position, it is a great looking watch for any occasion. The stainless steel case measures 38mm across (plus the crown) and with the window allowing the movement to be seen, this is watch will always be admired. Fitted with a 25 jewelled manual wind Zenith calibre 420 movement, this is a great watch to wear on weekdays or weekends. Make and model: Zenith Prime.